“Square Root Day? What’s that? That was my response last week when a student in my Calc class mentioned that Monday 4/4/16 was Square Root Day. Up until that time, I had never heard of Square Root Day. My student proceeded to inform me that Square Root Day’s occur when both the day of the month and the month of the year are square roots of the last two digits of the year! For example, April 4th, 2016 is day 4 of month 4 of year 16 of the current century (zero based for those of you counting). Unlike Pi Day, which happens yearly, Square Root Days occur much less frequently, happening only nines times each century. The last Square Root Day was 3/3/2009 (that’s 7 years, 1 month and 1 day ago) and the next Square Root Day will be 5/5/2025 (that’s 9 years, 1 month and 1 day from today). Therefore, in a given century, Square Root Days occur at increasing periods of time, each of which is an increasing, consecutive odd number of years away. 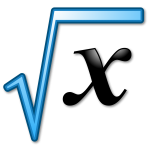 This Square Root Day is an interesting one because it is the middle of a Pythagorean Triple – 3,4,5. Consecutive Perfect Squares (of integers) differ by an odd number (just like the years between Square Root Days in a given century). That odd number can be further quantified as 2n+1 where n is the square root of the perfect square. For example, given the perfect square 16, n is 4 (the square root of 16) and 2n+1 is 9 which is the distance to the next perfect (i.e. 16 + 9 = 25, the next perfect square). So whenever 2n+1 is a perfect square, a Pythagorean Triple occurs! Therefore, every odd perfect square greater than 1 (e.g. 9, 25, 49, 81, 121, 169 …) is part of a Pythagorean Triple. Let’s see if this works for 23. – from 529, Subtract 1 then divide by 2 to get 264. – there’s our Pythagorean Triple, 23, 264, 265. Check it out – 232 + 2642 = 529 + 69696 = 70225 = 2652. There we have it, not only is it Square Root Day, but we have a way to generate a Pythagorean Triple using any odd number (greater than 1)! If by chance you have a newborn today, may I suggest the names GiGi, MiMi or Lulu for a girl or JoJo for a boy, all of which are “perfect squares” (of a sort). Have a great Square Root Day!